Here at Rocky Top Sports World, we consider the Super Bowl to be an unofficial national holiday! Much like Thanksgiving, the Super Bowl brings people together for a night of friends, family, food, and fun. With the big game fast approaching, it’s time to start planning this year’s Super Bowl party. If you are expecting lots of little ones at your get-together, it’s wise to have some kid-friendly festivities at the ready. To help you plan the ultimate party, Rocky Top Sports World has put together a few of our favorite kid-approved Super Bowl ideas. No Super Bowl party is complete without plenty of decorations! If you are actively rooting for one of the teams competing in this year’s game, decorating the house should be a cinch. Flood your living room and kitchen with memorabilia from your favorite team and make sure that all of your plates, napkins, silverware, etc. are in your team’s colors. Banners and balloons with your team’s logo are always a nice touch. If this year’s Super Bowl has left you without a horse in the race, we suggest employing general football-themed decorations. Some creative ideas include placing serving bowls inside of upside-down football helmets and breaking out an artificial grass carpet. A party is always more fun when your guests dress up! In the invitations for your Super Bowl get-together, encourage children (and their parents) to wear their favorite football jerseys. For a memorable pre-game activity, the artist in your family can provide facepaint for the kids. If you’re looking for something a little less messy, you can hand out eye black strips for little ones to wear. Aside from the game itself, food is usually the main attraction at a Super Bowl party. One great option is to serve dishes inspired by the teams competing this year. For example, Boston baked beans would be a fitting tribute to the New England Patriots, while the Philly cheesesteak is certainly the sandwich of choice for the Philadelphia Eagles. Of course, pizza is always guaranteed to be a hit with kids. If you are making your pizza from scratch, you can cut the dough into individual football-shaped pies. Bagels, English muffins, french bread, and pita bread can also be converted into pizzas by baking them with sauce, cheese, and toppings. When you’re entertaining kids, skipping dessert isn’t an option! For a crowd-pleasing treat, we suggest having a Super Bowl Sunday Sundae Bar, complete with hot fudge, whipped cream, and all of the best candies. Other fun dessert ideas include anything that can be made to look like a football, such as brownies, cookies, chocolate covered strawberries, cinnamon rolls, or ice cream sandwiches. Let the kids play touch football in the backyard (or a football video game inside). Create BINGO cards that correspond to events in the game (e.g. a fumble, an interception, a certain player or coach appearing on the screen). Set up “Pin the Football on the Goalpost,” a variation of pin the tail on the donkey. Provide kids with football-themed coloring books or encourage them to make their own paper footballs with arts and crafts supplies. Situated minutes away from downtown Gatlinburg, TN, Rocky Top Sports World is one of the top tournament destinations in the United States. With seven fields, six basketball courts, 12 volleyball courts, team rooms, and an onsite grill, our 80-acre athletic campus has everything you need for an unforgettable sports event. To see a complete listing of our upcoming tournaments, browse the Rocky Top Sports World Events Calendar! 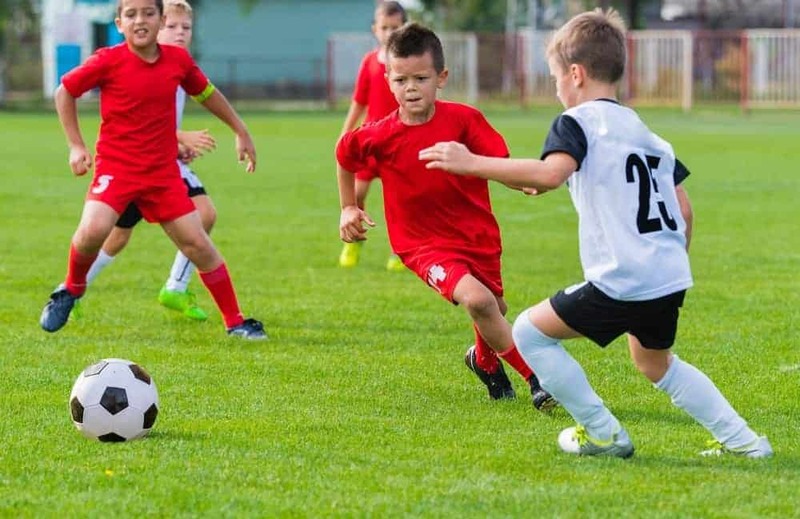 This entry was posted in Trends in Youth Sports on January 26, 2018 by rockytopsports.